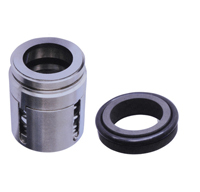 Mechanical seal is by a pair or more relative to the axis perpendicular to the end face of the slide stretch (or magnetic) role in maintaining the seal affixed to merge with auxiliary devices to achieve the seal leakage barrier fluid pressure and compensation agencies. Shimizu; room temperature; (moving) 9Cr18,1Cr13 surfacing cobalt chromium tungsten, iron; (static) dip resin graphite, bronze, phenolics. Gasoline, lubricants, liquid hydrocarbons; room temperature; (move) tungsten carbide, 1Cr13 surfacing cobalt chromium tungsten, iron; (static) dip or tin-antimony alloy graphite resin, phenolics. Gasoline, lubricants, liquid hydrocarbons; 100 degrees; (move) tungsten carbide, 1Cr13 surfacing cobalt chromium tungsten; (static) Baptist graphite bronze or resin. Gasoline, lubricants, liquid hydrocarbons; containing particles; (moving) WC; (static) tungsten carbide. 9) manufacturing convenient, cheap, easily drawn. Rubber is the most common sealing material. In addition to the rubber, but suited to do as well as graphite sealing material, PTFE and various sealants. 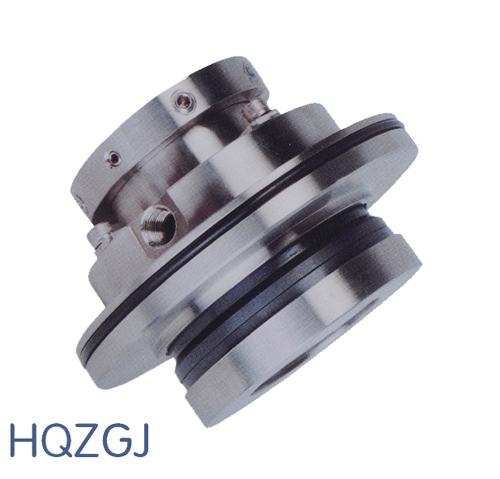 9), for easy to crystallize, granular media, for medium temperature> 80oC, should take appropriate washing, filtration, cooling measures, various auxiliary devices, refer to the relevant standard mechanical seals. 10), in contact with the sealing surfaces should be coated with a layer of clean oil machinery installation, pay special attention to the selection of mechanical oil for different auxiliary materials to avoid O-ring expansion or invasion oil accelerated aging, causing the seal in advance failure.